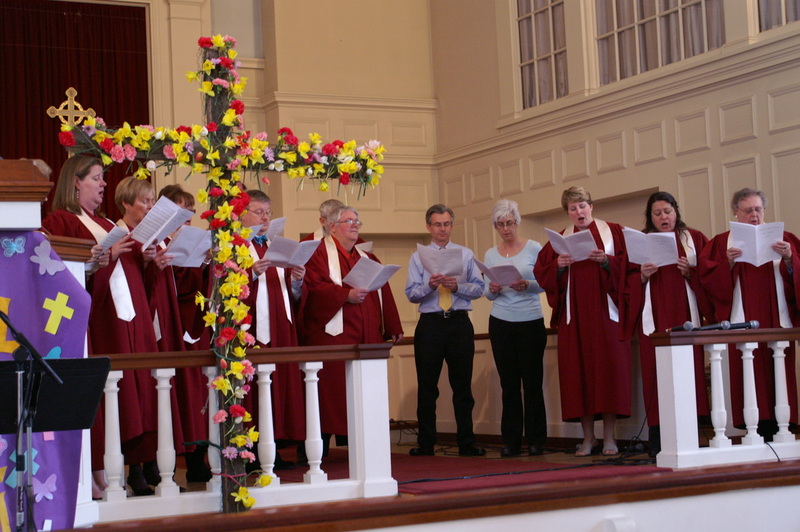 An adult choir composed of volunteer and professional singers, the Senior Choir offers musical continuity in our worship and contributes to virtually every Sunday service during the year, along with special seasonal services. It sees its chief purpose, satisfaction, and reward in offering a weekly choral anthem and in leading congregational singing. A tradition of worship at the Highlands Church is the inclusion of sacred solos sung by our staff section leaders from the choir, and each of these superb musicians is heard in a solo capacity about seven times per year. This music, along with the choir’s anthems, drawn from all periods of musical history down to the present day, is chosen to reinforce the content and impact of the spoken word—scripture and sermon—appointed for each Sunday. Two special musical services sung by the Senior Choir, with additional voices from Choir Light, highlight each year. The first is the Advent/Christmas music Sunday, and the second the Spring music Sunday. At the latter service, professional orchestral players join our singers to present an extended choral work as the core of worship. The Senior Choir rehearses weekly on Sundays (September through May) from 11:30 to 12:45 after the Fellowship hour, along with a pre-service warm-up rehearsal at 9:15 each Sunday. Interested singers need not participate every Sunday of the year if travel or family plans need to be made. If you’ve thought you might enjoy singing in the choir but are unsure about the time involved, try an experimental short-term commitment as a beginning, for example Thanksgiving through Christmas, or Ash Wednesday through Easter. Choir members experience musical growth and the feeling of being at the center of worship each Sunday. They offer a warm and supportive welcome to new members.